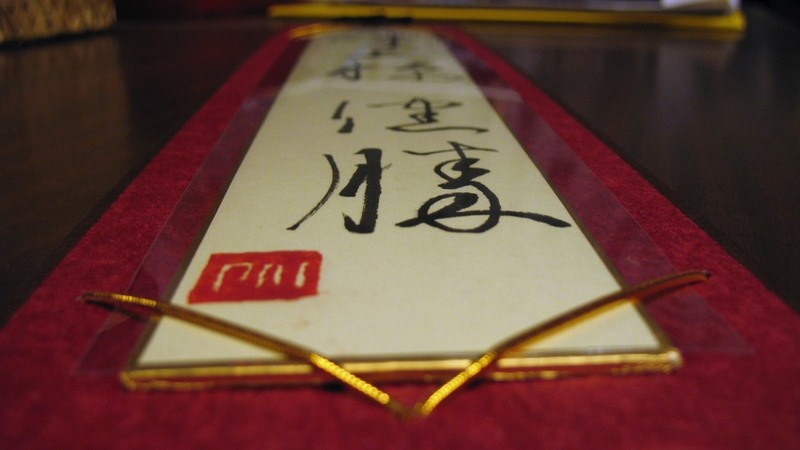 Tanzaku (短冊) are small vertical poem cards, approximately 36cm long x 6cm wide that may be decorated with colored designs, sprinkled with cut gold, silver or mica or covered with silk. Supposedly these originated from small slips of paper used for divining in ancient times. Check out a gallery of Tanzaku I made. 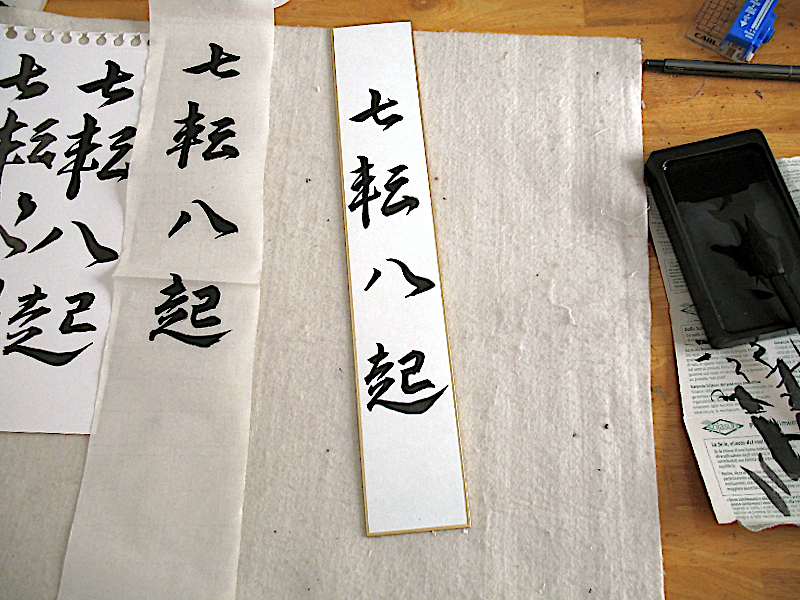 Shikishi (色紙) are thick rectangular sheets of paper used for calligraphic poems or paintings. There are three standard sizes: the larger 19.4 x 17 cm. and the smaller 18.2 x 16 cm - plus an even larger size, 27.3 x 24.2 cm, introduced in recent times. Often these squares are highly decorated with mica or colored patterns. 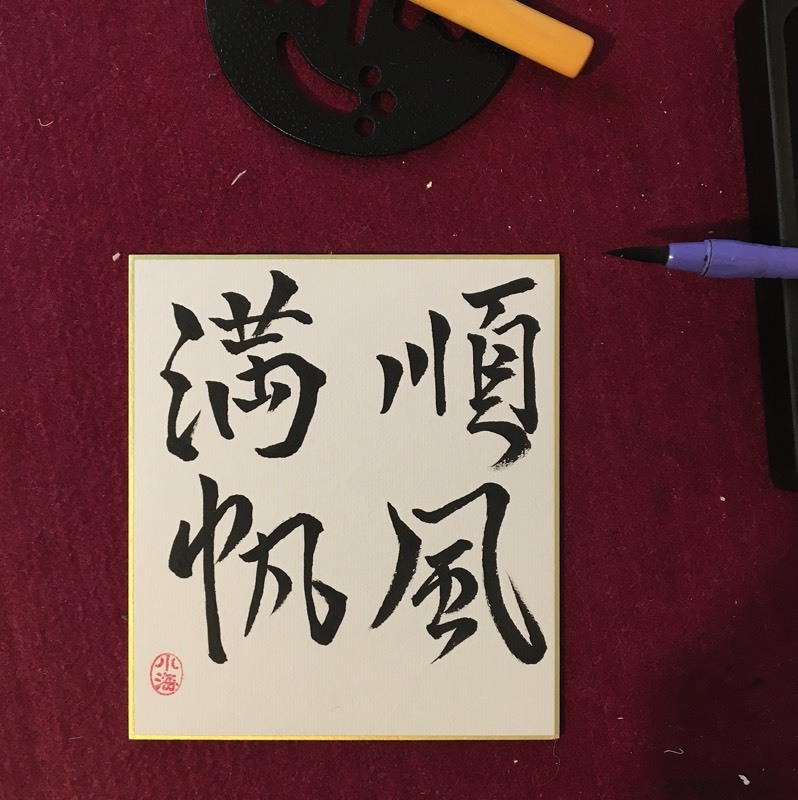 Check out a gallery of my Shikishi.